From the UNESCO-listed Castel del Monte to a number of medieval–era fortresses, Puglia offers an array of destination-worthy castles. Get out of Bari, and enjoy a direct passport to the sights, on this full-day tour. 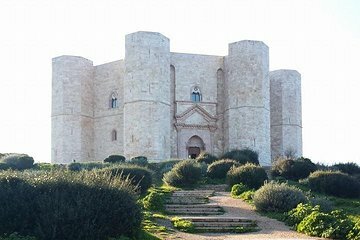 After pickup at your accommodation, you’ll visit the distinctive Castel del Monte before continuing up the coast to Bitonto, Bisceglie, Trani, and Barletta. The guide and the day were perfect!!! I'd highly recommend it to anyone!! !